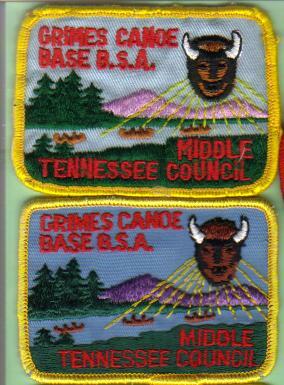 A couple of varieties of the original Grimes canoe Base patch. Note the "smiling" buffalo on one of the patches. Also one has 12 sun rays and the other has 13 rays.